Agranovich, V.M., La Rocca, G.C. 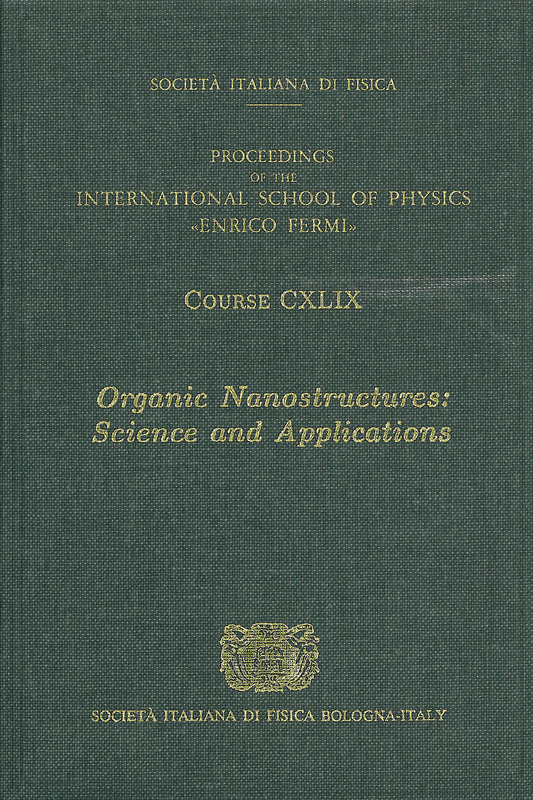 149 of Proceedings of the International School of Physics "Enrico Fermi"
In this Enrico Fermi School, the first one dedicated to advanced organic materials, the main research results and open problems in science and technology of organic nanostructures have been discussed; in particular, growth techniques, electronic and optical properties, device applications. The necessary background material has been covered and interdisciplinary aspects have been emphasized with the aim of a unified approach to the basic physical phenomena bridging the gap between standard graduate courses and the state of the art in the field. The lecturers have provided authoritative and comprehensive tutorial reviews of the main issues involved in the science and technology of organic materials and their nanostructures. In particular, the following topics have been specifically addressed: charge carrier mobility and transport properties, electrical conductivity of conjugated polymers, charge transfer states in organics, photorefractivity in organics, energy transfer processes in organics, photophysics and fast spectroscopy, technology of polymer electronics and light emitting devices.